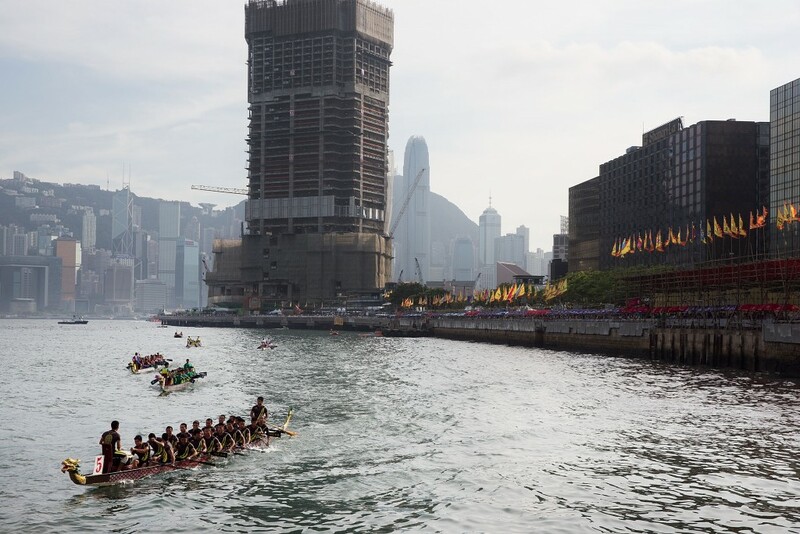 The renowned Dragon Boat Festival, also known as Tuen Ng, falls on the fifth day of the fifth lunar month. It commemorates the death of Qu Yuan, a Chinese poet and minister known for his patriotism and contributions to classical poetry and who eventually became a national hero. Qu Yuan lived during the time of China‘s first feudal dynasties and supported the decision to fight against the powerful state. Though his actions led to his exile, he wrote in order to show his love for the country. Legend has it that Qu Yuan felt such remorse after the capture of his country’s capital that, after finishing his final poem, he waded into the Mi Lo River in today’s Hunan province as a form of protest and despair to the corruption surrounding him. Upon hearing news of this tragic attempt, villagers took boats and carried dumplings to the middle of the river to try and save Qu Yuan, but their efforts were in vain. They turned to beating drums, splashing water with their paddles and throwing the rice dumplings into the water – serving as both an offering to Qu Yuan’s spirit, as well as a means to keep the fish and evil spirits away from his body. These rice dumplings became the zongzi we know today, while the search for Qu Yuan’s body became the intense dragon boat races. 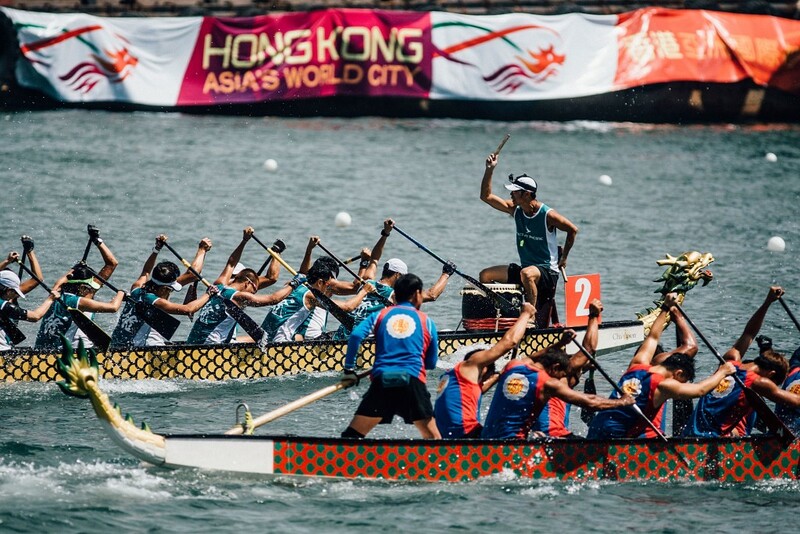 Now, dragon boat races and other activities are held annually throughout ten sites in Hong Kong during this festive time. Thousands of competitors and supporters attend the various race days to take part in the festivities, parades and entertainment events. 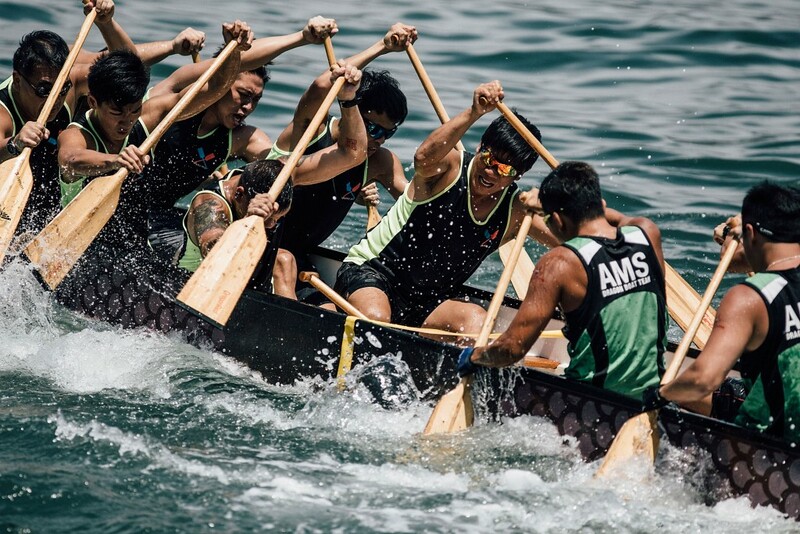 The canoes take the form of a traditional Chinese dragon, often painted in fierce vibrant colors that are reminiscent of the old war canoes. The team on board will work together to steer the boat to the finish line as fast as possible, while a member sits at the front and beats a drum to maintain morale and ensure the rowers keep pace and time. There are a number of delicious dishes in Chinese cuisine, some of which are famous all over the world. The Chinese pay great attention to cooking, with thousands of years of development and recipes that transcend from generation to generation to fulfill the cultural traditions that are followed and celebrated today. As the culture focuses heavily on food, different food items hold a different significance depending on the festival being celebrated and the region in which it is celebrated. For the Dragon Boat Festival, these food items also vary. This is one of the main food items eaten during the Dragon Boat Festival. It is a rice dumpling made out of sticky or glutinous rice, wrapped in bamboo leaves to form a pyramid shape that is tied with plant stems. There are also a number of different fillings available, such as egg yolk, lotus seeds, ham, red bean paste, rose, melon, date, chestnut and pork. Some places even make a mixed sweet and savory filling for the zongzi. 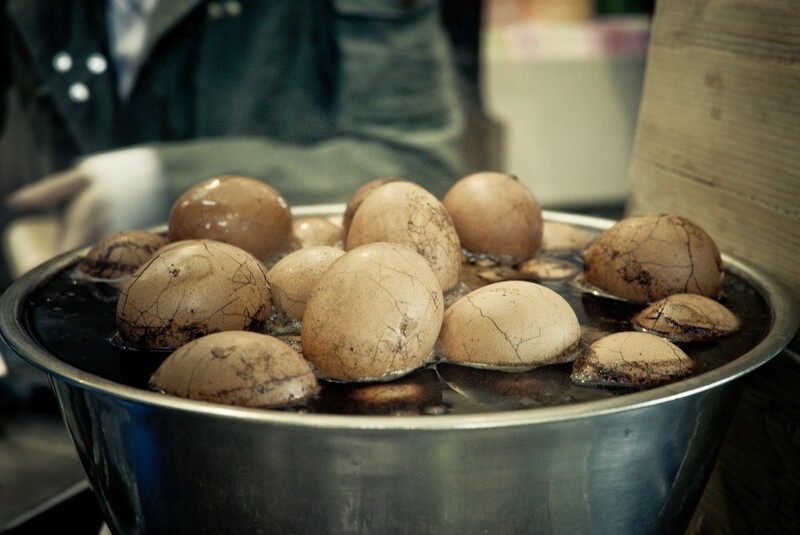 A fried round cake made of wheat and rice flour, more commonly found in the Fujian Province. 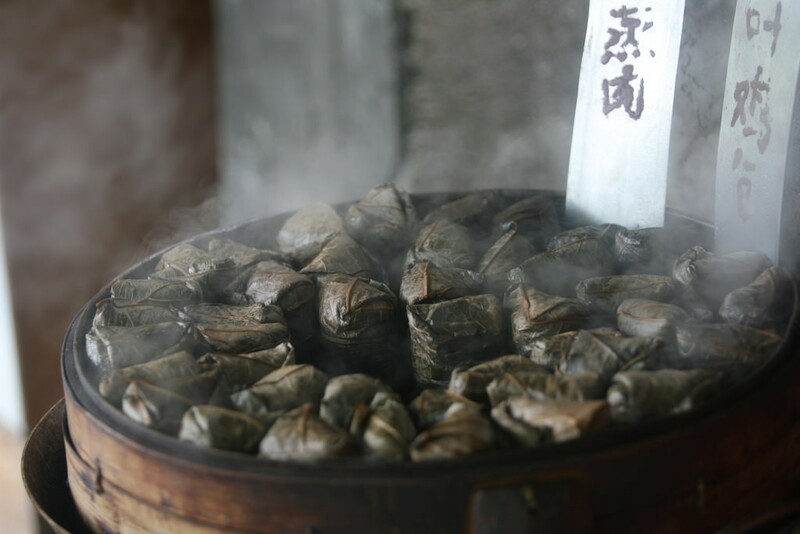 People used to believe that eating Jiandui would help to mend the sky during the rainy season by filling up holes and stop the rain from continuing. Made from white wheat flour, this pancake is fried in a frying pan so that it becomes very thin and translucent – eaten in the Wenzhou area. It is usually filled with green beans, leek, shredded meat and mushrooms and eaten as a wrap. This is common in the Nanchang region. The eggs are boiled with tea, and the shells of the egg are then dyed red, placed into colorful bags and hung around children’s necks to give them good luck. These are the real highlight of the festival, with the ornately carved boats and fierce painted ‘dragon’ heads and tails. It is a vibrant spectacle that consists of heavy drumming and intense racers as they race to reach the finish line. In the past, many diseases and plagues were said to permeate the lands during the same time of year as the festival, and so people would make incense bags to hang around their necks. They believed this would not only protect them from the diseases but from evil spirits too. Once again, this was another tradition that was believed to help ward off spirits, keep evil away and bring health to the family, as well as a more practical use of repelling various insects from the house.